Once you submit your application, you will be emailed a confirmation that includes login information for your online portal (where you can keep track of your other application materials). A personal essay is included in this application. Your teacher/counselor must send us a copy of your official transcript, including a detailed syllabus. We will use this to recalculate your GPA and evaluate your academic performance and course selection*. These references must come from adults not related to you (unless a family member was your primary instructor). One reference should be a teacher, and the other should be from someone affiliated with one of your extracurricular activities. This contract—signed by you, a parent/guardian, and your counselor—is required for early decision applicants. Submission of test scores is optional, per Denison’s test optional policy. Interviews are optional but strongly recommended. Students interested in creative writing, dance, music, studio art, or theatre may submit supplementary arts materials for evaluation. This is done through the Denison Applicant Portal, which is available once the Common or Coalition Application has been submitted. * We strongly recommend that you complete four years of English and at least three years of mathematics, foreign language, science, and social studies during high school. We also encourage you to challenge yourself with rigorous courses, when available and within reason. 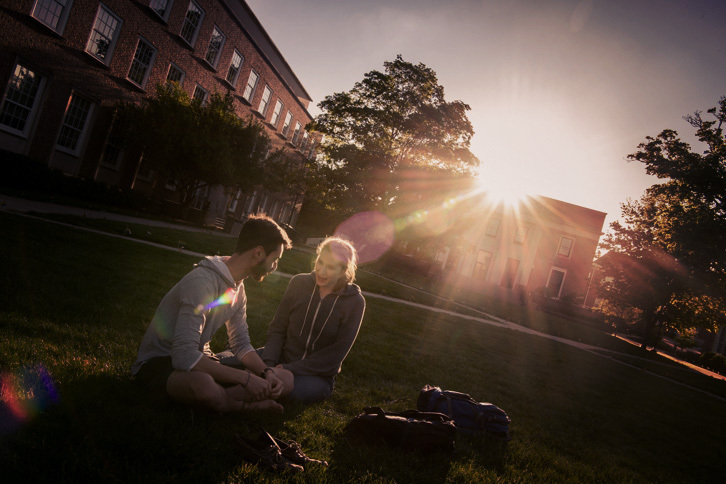 Denison University is committed to a policy of nondiscrimination in matters of admission, employment, and housing, and in access to and participation in its education programs, services, and activities. No person shall be discriminated against on the basis of race, national or ethnic origin, age, gender, sexual orientation, gender identity and expression, marital status, religion, creed, or disability.